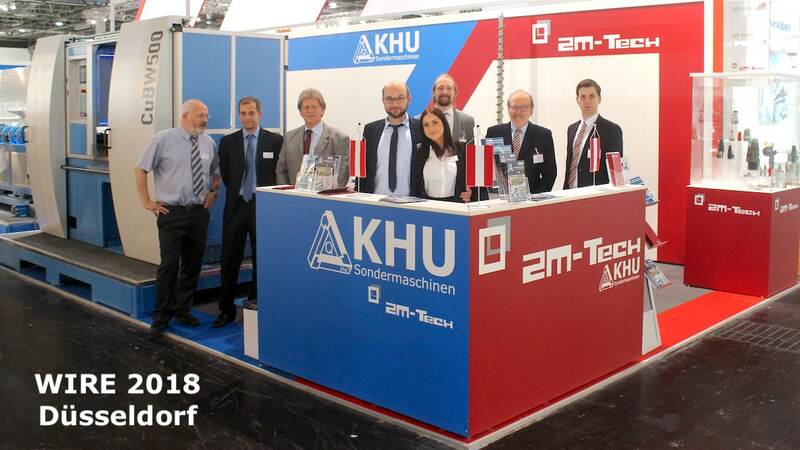 KHU Sondermaschinen develops, designs and fabricates stock and custom machinery and production plants for the cable and wire industry. 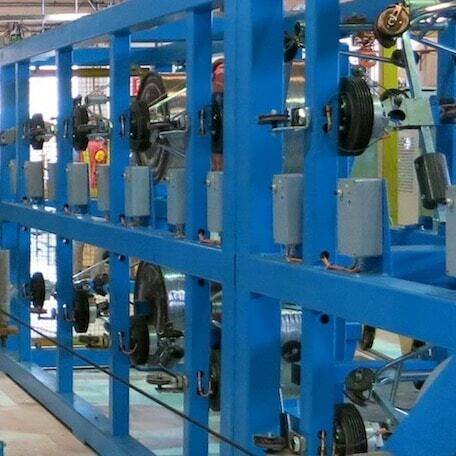 Our customers value the quality and performance of our cable production plants and automated cable harness plants. 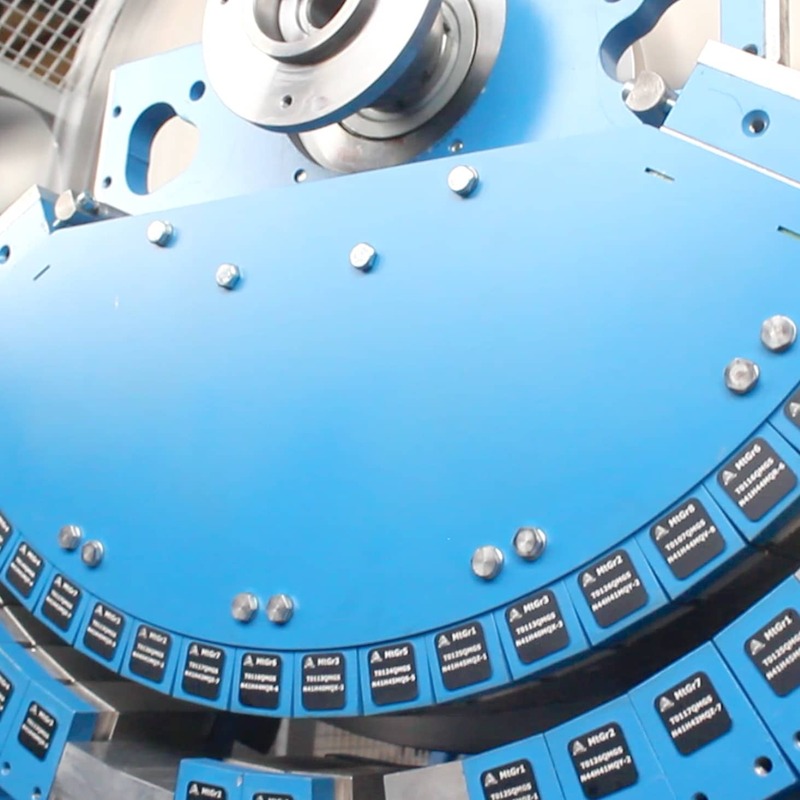 Among complete cable production plants we offer a comprehensive supply of components, such as pay-off, take-up, caterpuller and capstans, stranding machinery, twisters and much more. 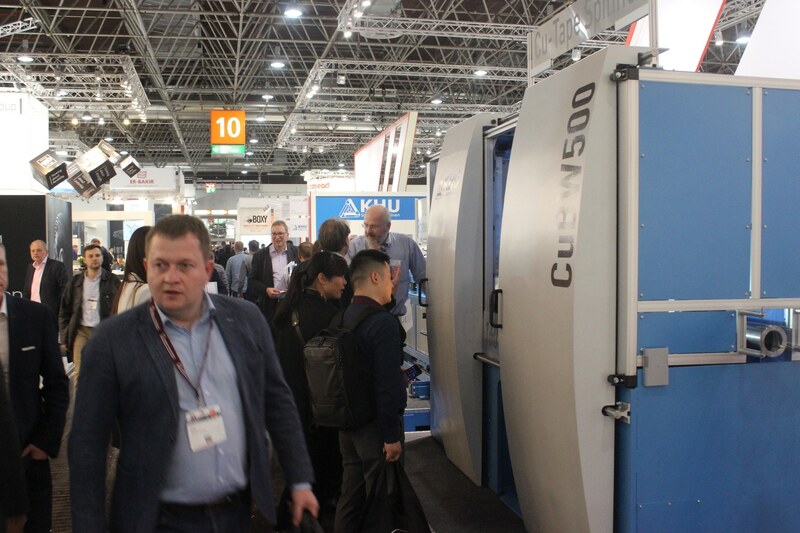 If you can not find what you are searching for please contact us for we are happy to make machinery that does not exist yet. We concentrate on innovative designs to supply our customers with revolutionary products giving them the key competitive advantage. 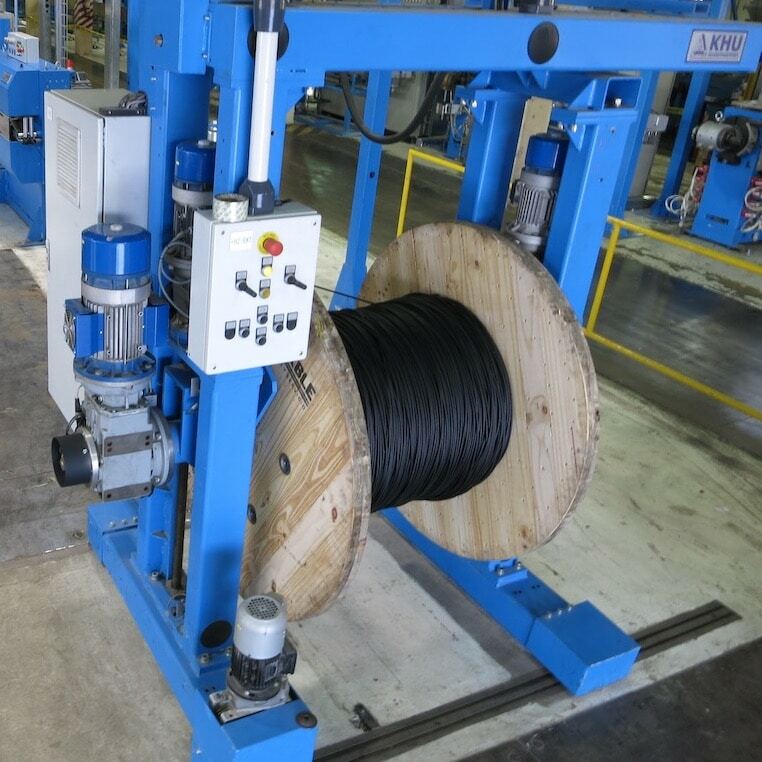 We provide machines and equipment for automated cable preparation and manufacture, ranging from stations for manual operation to fully automatic cable harnessing lines. 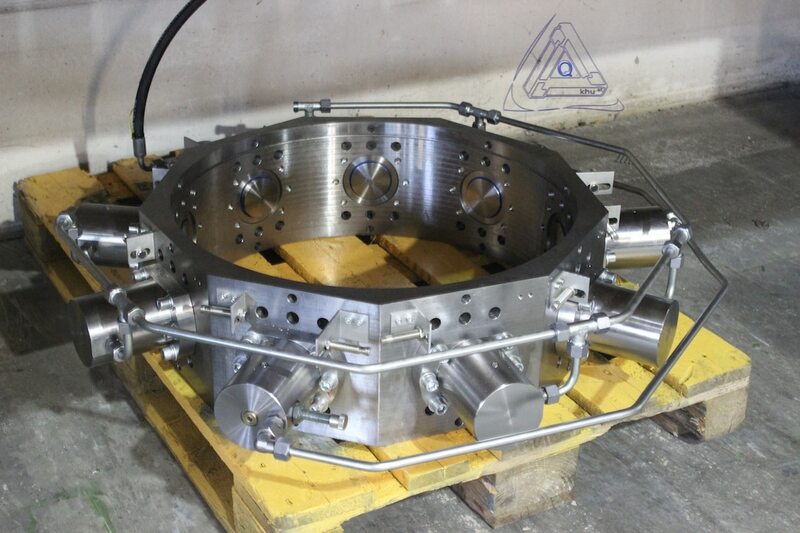 Our systems are built in linear or round table transfer designs and perfectly tailored for processing your product. 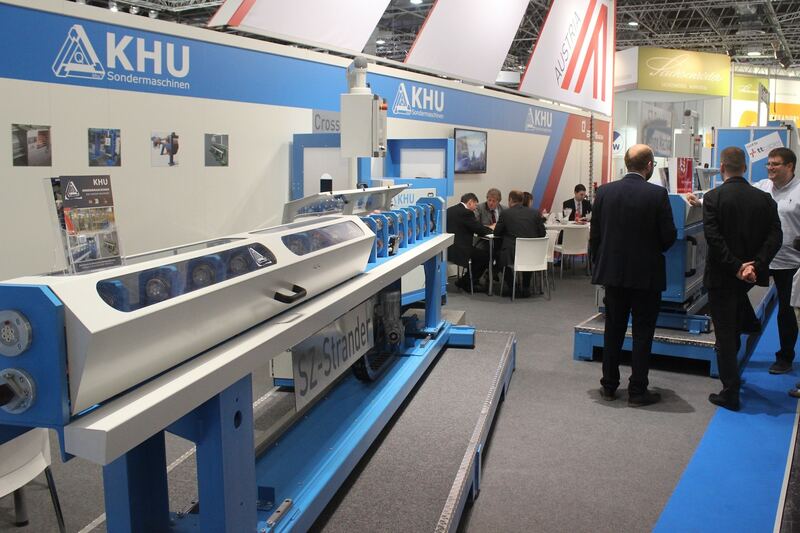 It is also possible to integrate more stations at a later point for processing a variety of products with one single automatic cable manufacturing line. 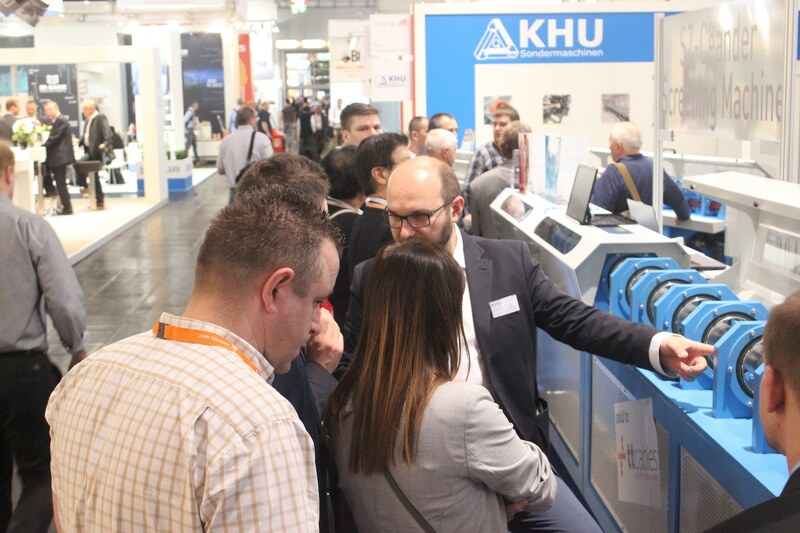 As an experienced system integrator we can provide you the best suited system to realize fully automated cable harness production. 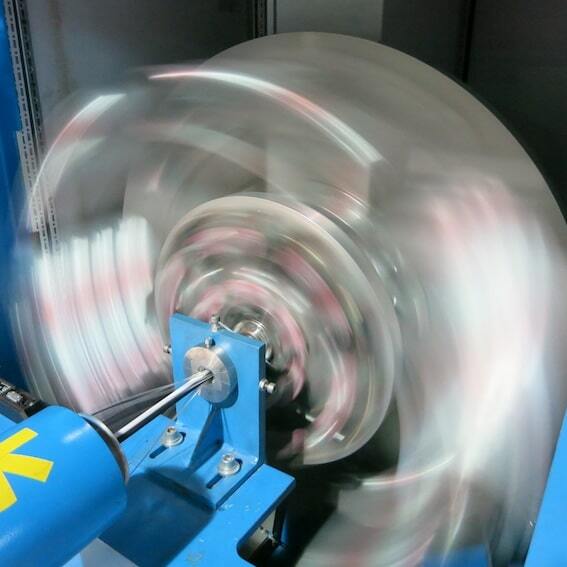 We provide different kinds of Pay Off’s and Take-Up’s depending on your purpose. 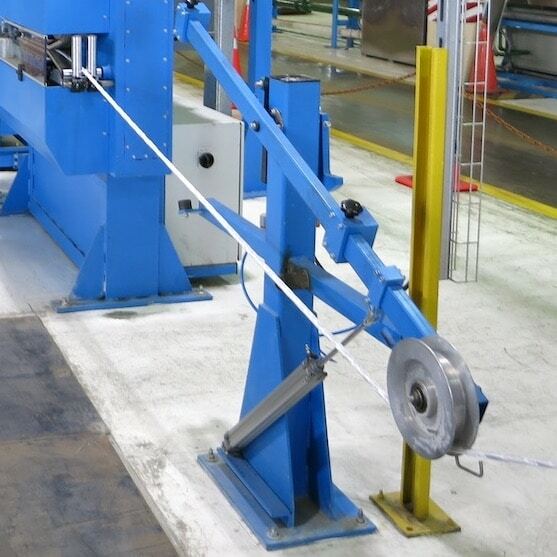 For optimal de-reeling and stable cable processing down the line we provide custom designed dancer systems. 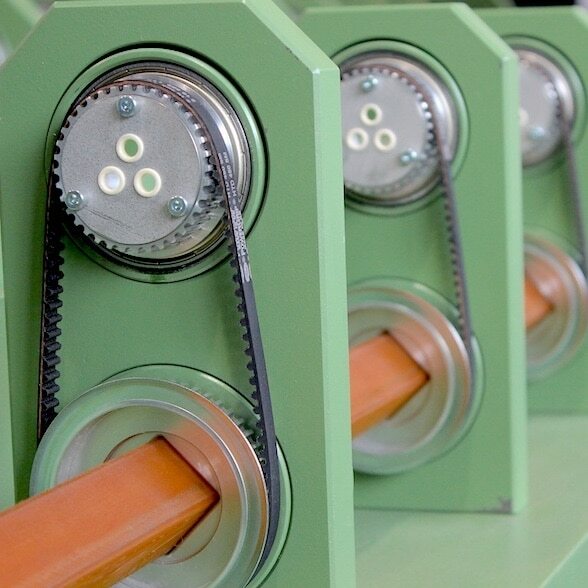 For stripping cable jackets we have developed specific processes for best repeatability results and therefor maximized process safety. 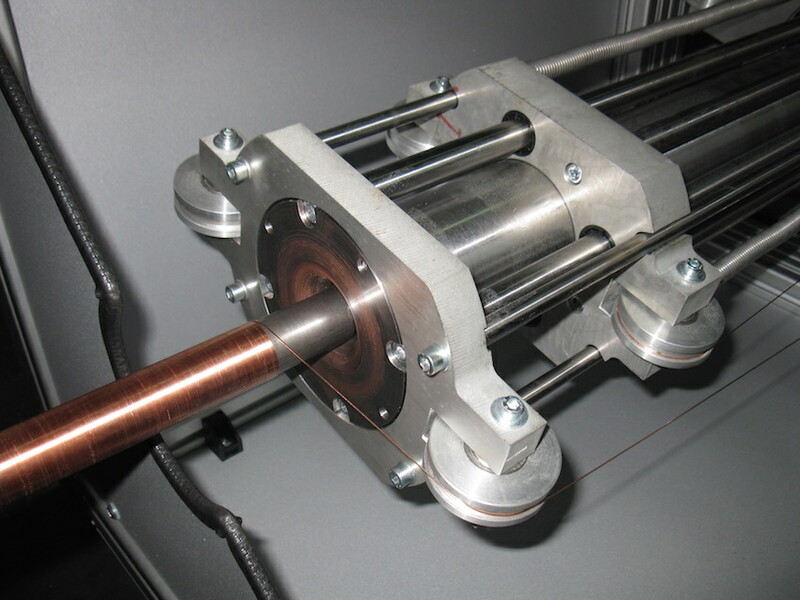 For safe stripping of coax- and antenna cables we have designed a system for valley and peak detection in order to precisely cut and strip outer conductors. 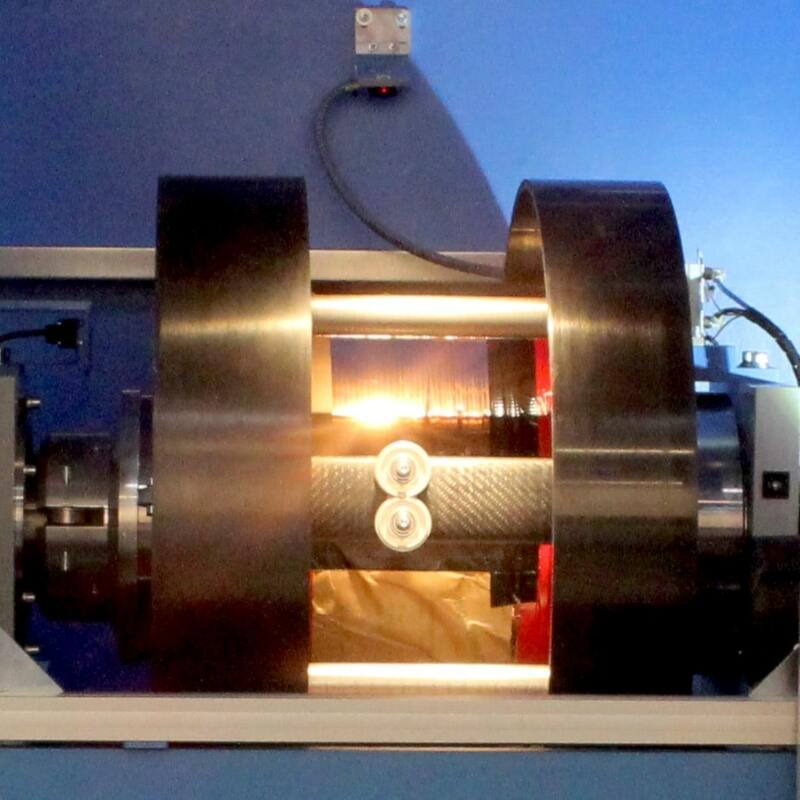 Equipment for cutting and removing of dielectric without residues. 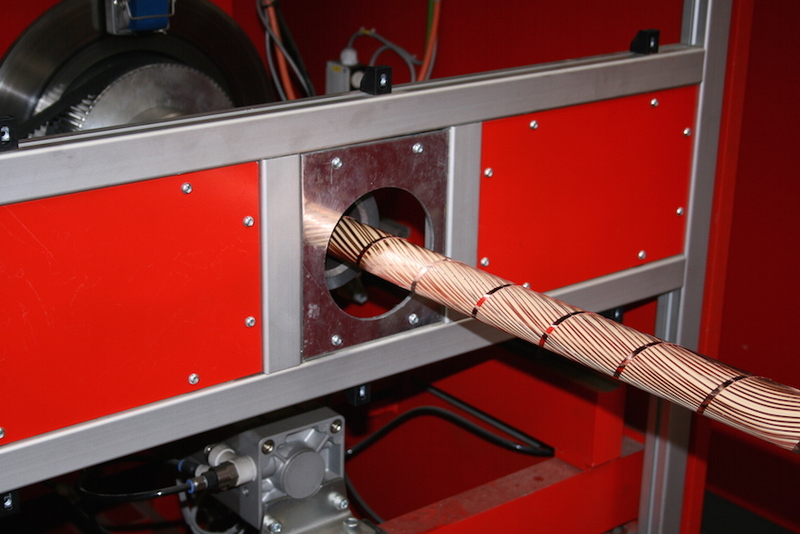 We measure cable prep and stripping levels prior to applying connectors to make sure that all specifications are within tolerance for cables with best electrical conductivity und pristine cable quality. 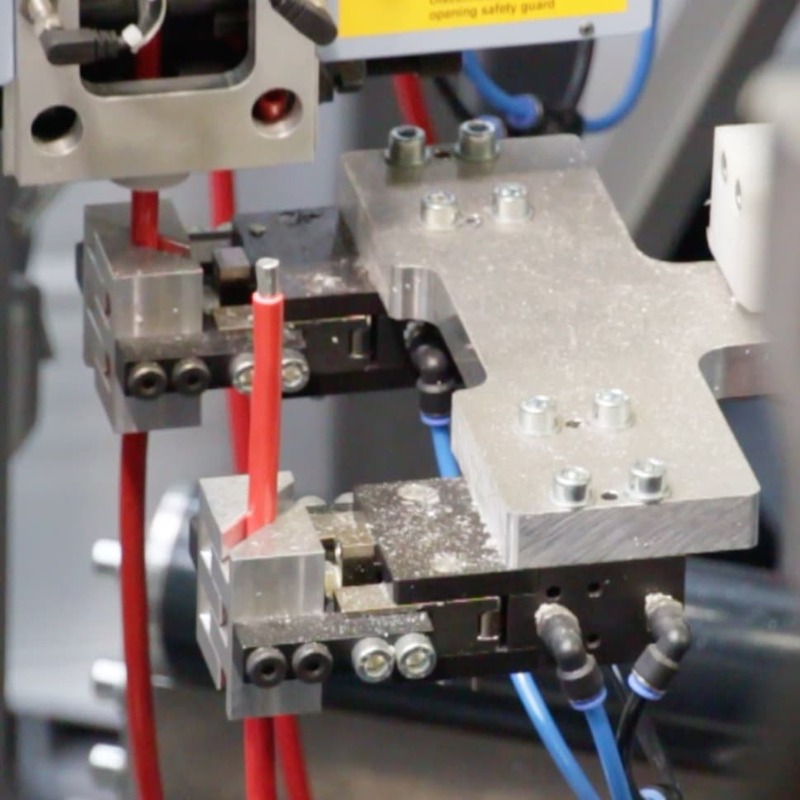 Thanks to a lot of different cable manufacturing machines that we have delivered to our customers, we have gained much experience also with handling connectors and processing them by soldering, welding, crimping and pressing. 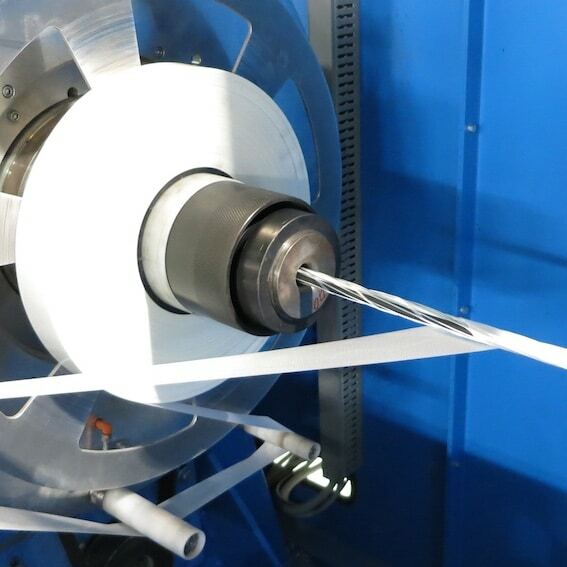 For our automatic cable manufacturing lines we have developed an overmould process for over moulding cables automatically and within the cable processing line. 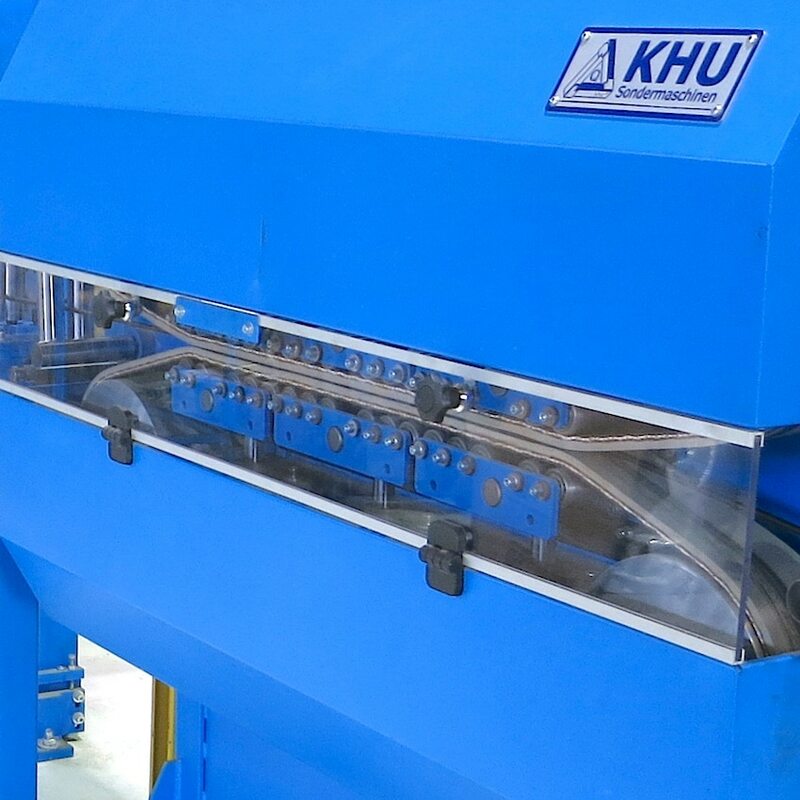 For partial automatisation of cable harness we provide compact machines, which produce cables that are cut to length, stripped and conveniently presented to the operator. 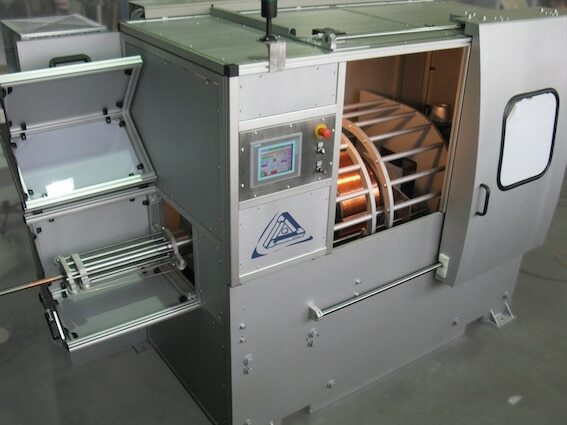 With our innovative solder feed measuring we provide soldering stations for induction brazing and resistance soldering with dual monitoring. 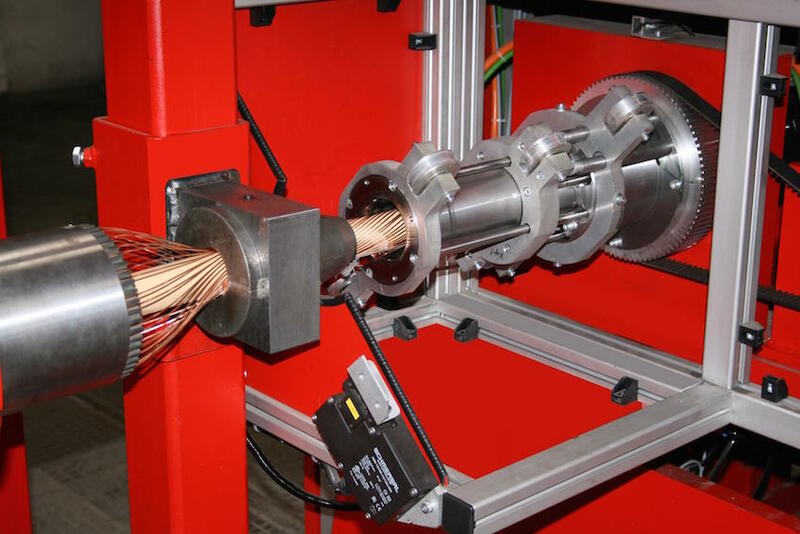 By that we make sure that the soldered contacts are a 100% within the specification and your cables perform at their best. Automated stations for cable crimping. Also in 2018 we had the opportunity to present our novelties at the WIRE in Düsseldorf. 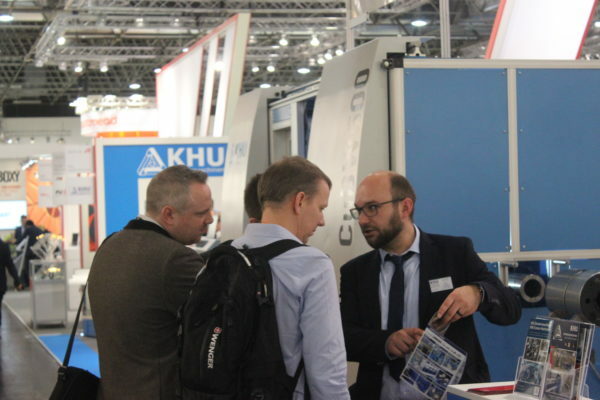 We were very happy about the high number of visitors and had many interesting conversations. 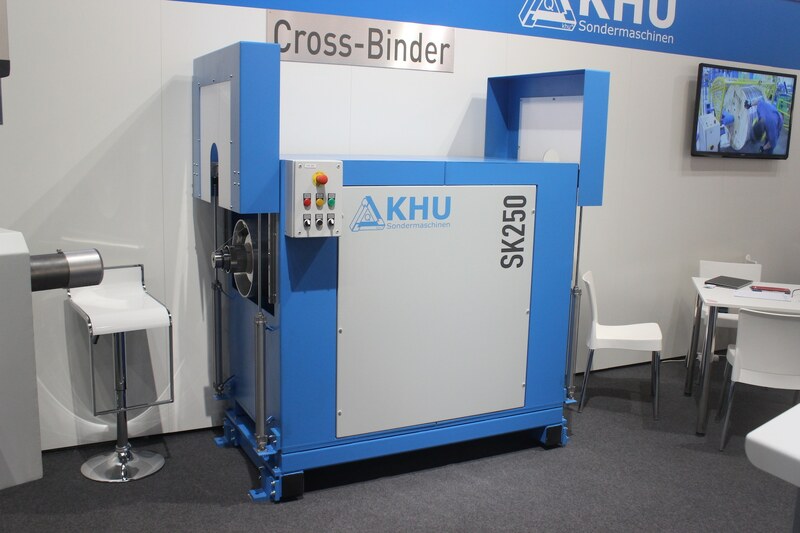 In addition to the SZ-40 stranding machine and the SZ-140 shielding stranding machine from our wide SZ stranding machine program, we also presented our new Cross-binder and the highlight: Our new CuBW500, the world’s fastest copper tape binder. 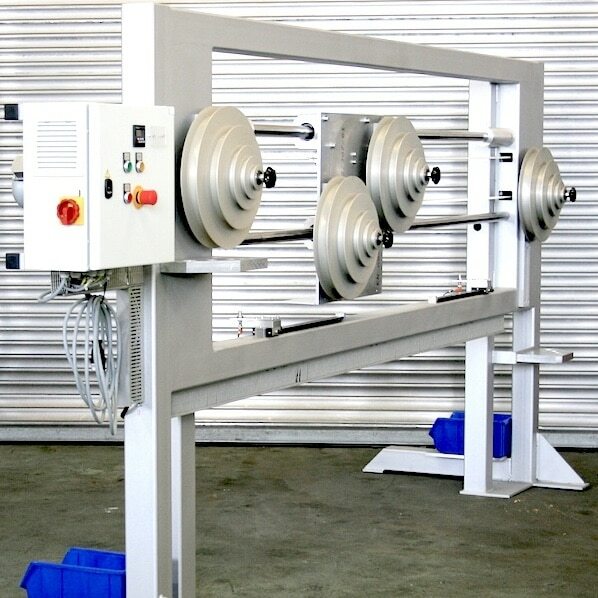 This tape binder provides an automatic reel take-up via pneumatic pintles, facilitating high rotational speeds with heavy reels. 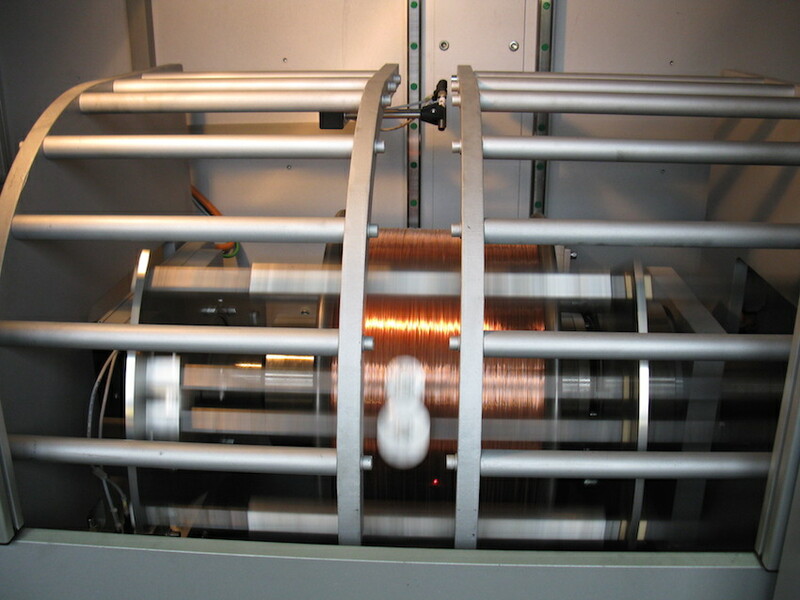 The tape is pulled tangentially from the reel by a driven flyer ring and then wound helically around the cable to the stranding die core by a guiding system. 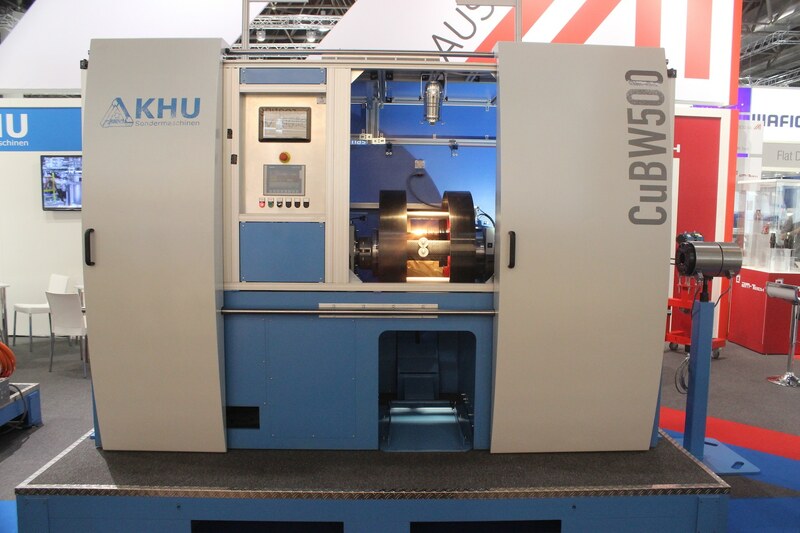 The BW 560 is equipped with a pneumatic brake for a quick stop. 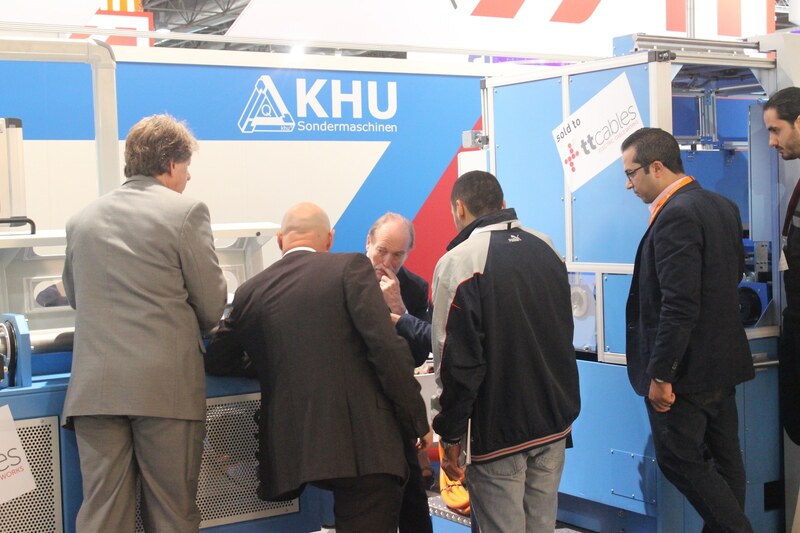 Leading companies from many industries rely on the products and services of KHU Sondermaschinen. 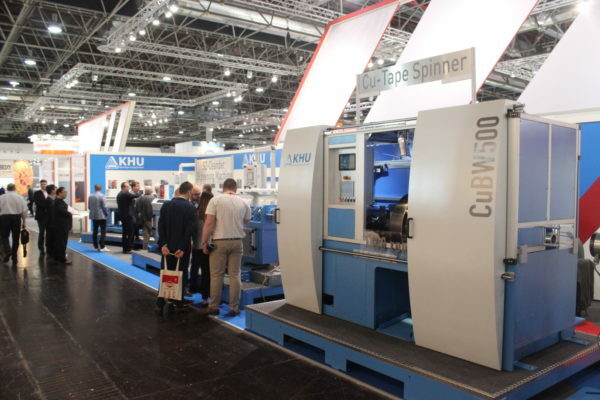 We have planned, designed, engineered, manufactured, built and started a high number of machines and plants for our customers. The diversity of our past projects has enriched our experience, making us a competent and innovative partner the most challenging tasks. 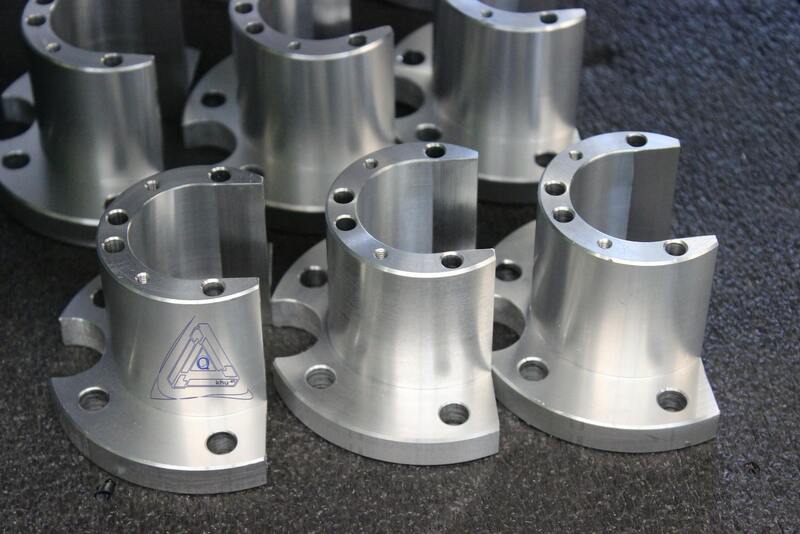 Here is a list of a few chosen products. 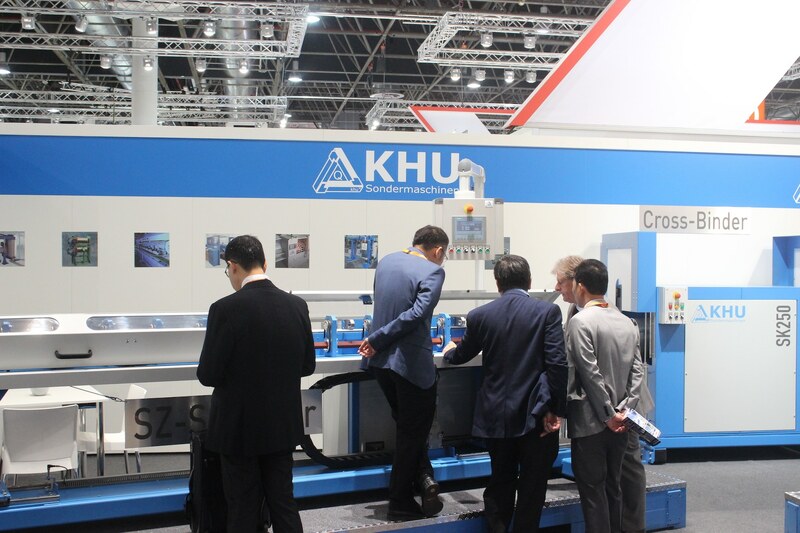 We do not choose our projects. 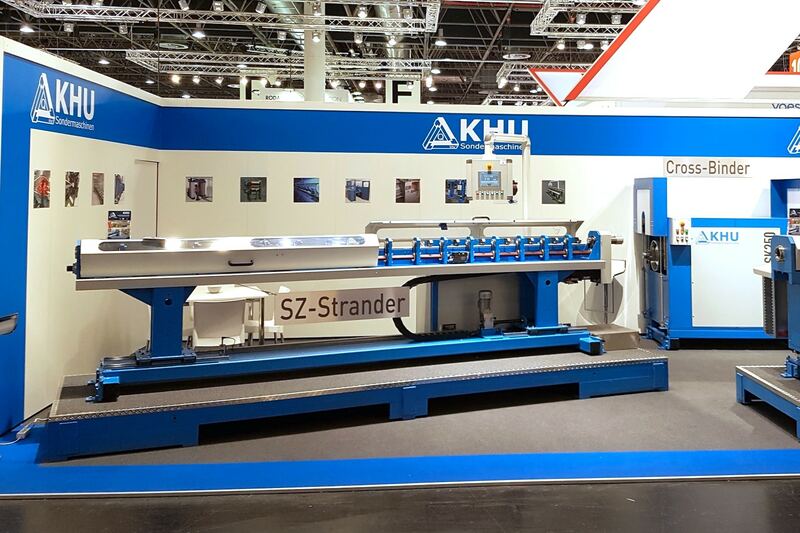 Your projects choose us. 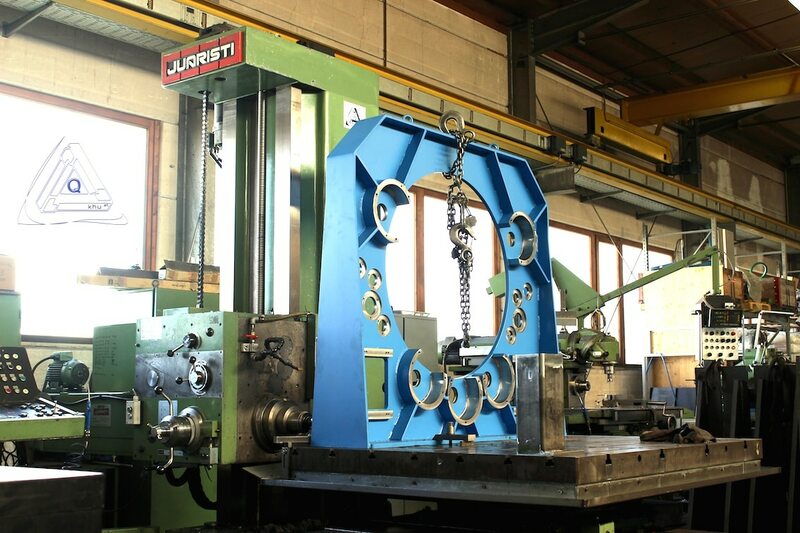 Our customers come to us in search of a competent partner for designing and creating astonishing custom machinery and production plants. 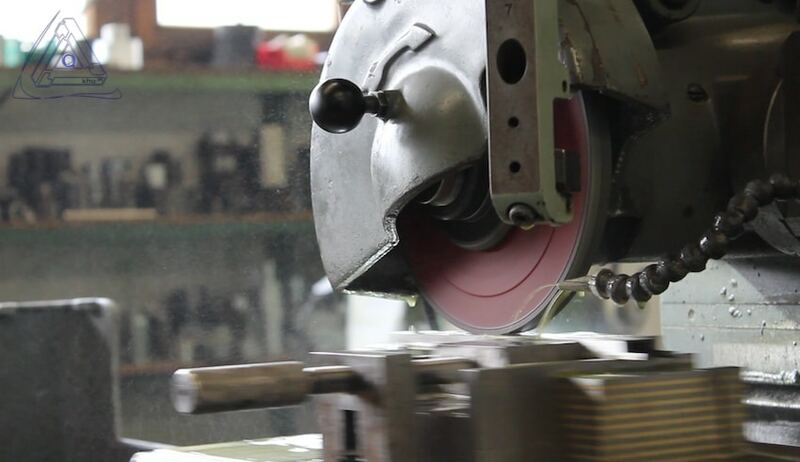 Yet as years go by, our customers repeatedly return to us with new ideas that we are happy to turn into reality. 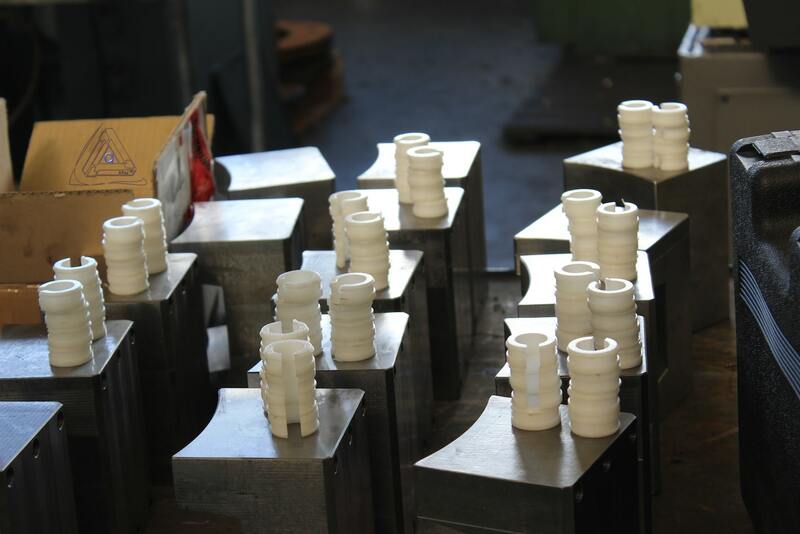 We specialize in developing great solutions, so you can continue or even improve the production of your great products. 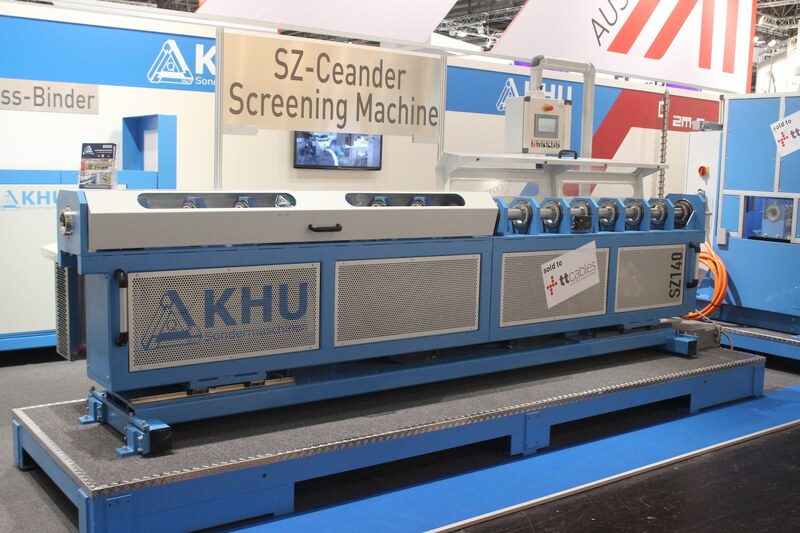 KHU Sondermaschinen was started in 1984 by founder and owner Peter Khu. Together with with a staff consisting of creative and talented experts, Peter Khu envisions, designs and fabricates custom machinery and automated assembly and production plants. 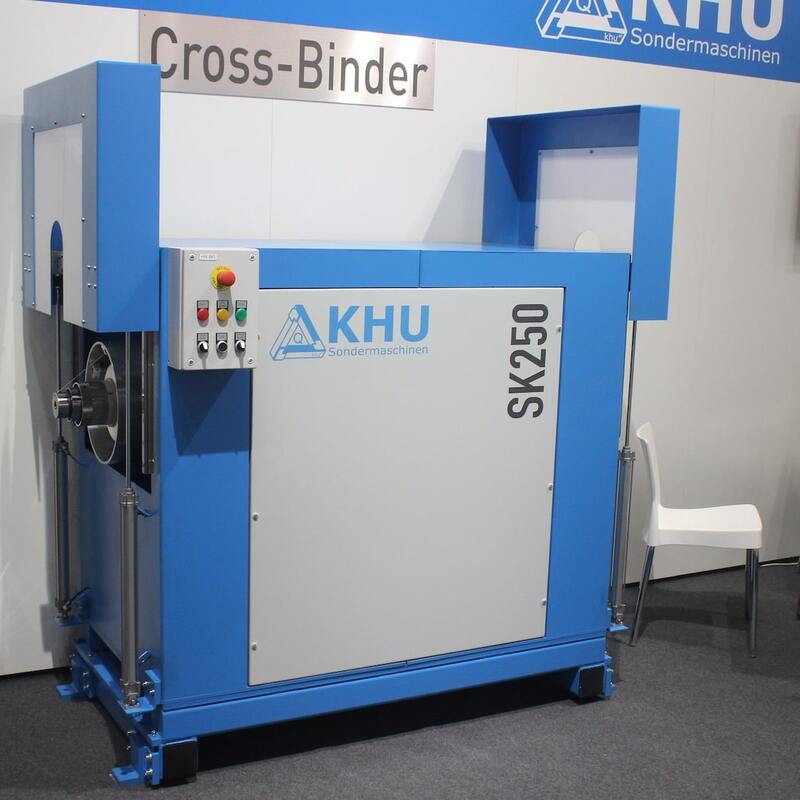 Putting great importance on the principles of classical mechanical engineering KHU Sondermaschinen is focused on developing innovative products for the industry of tomorrow. 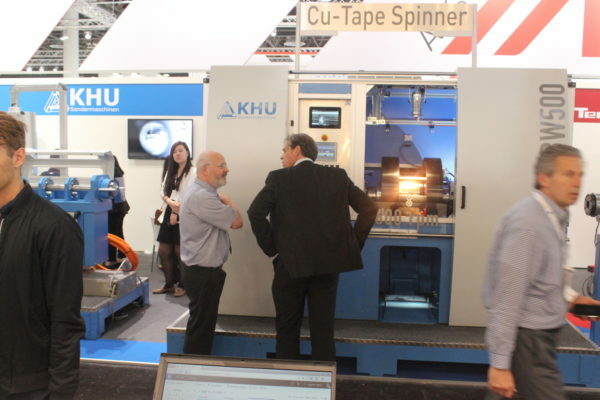 Over the years KHU Sondermaschinen became known as a company who will do what others can not. 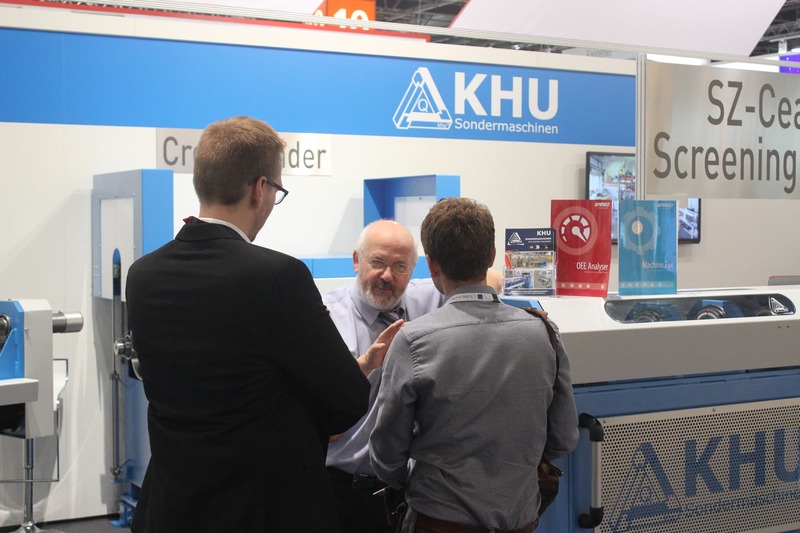 KHU Sondermaschinen is always ready to solve tricky problems by providing comprehensive, innovative and unique solutions. 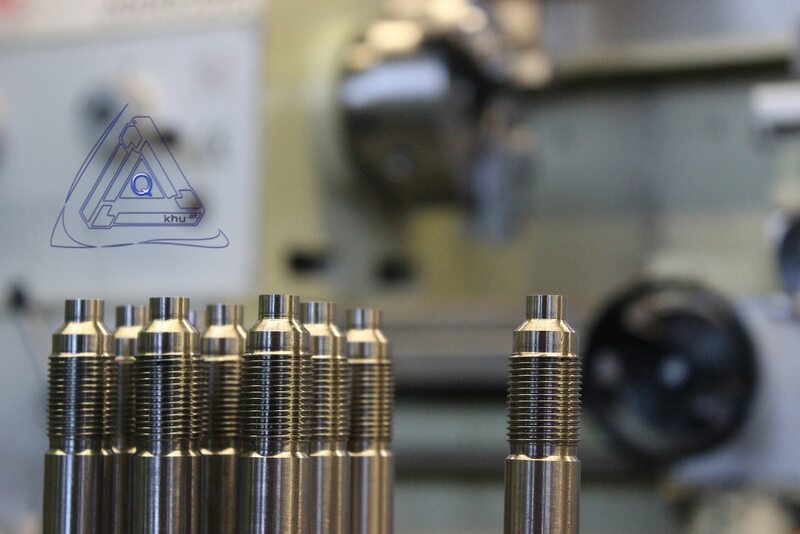 This attitude of constant improvement and high value engineering work results in the continuos growth of the company’s expertise. 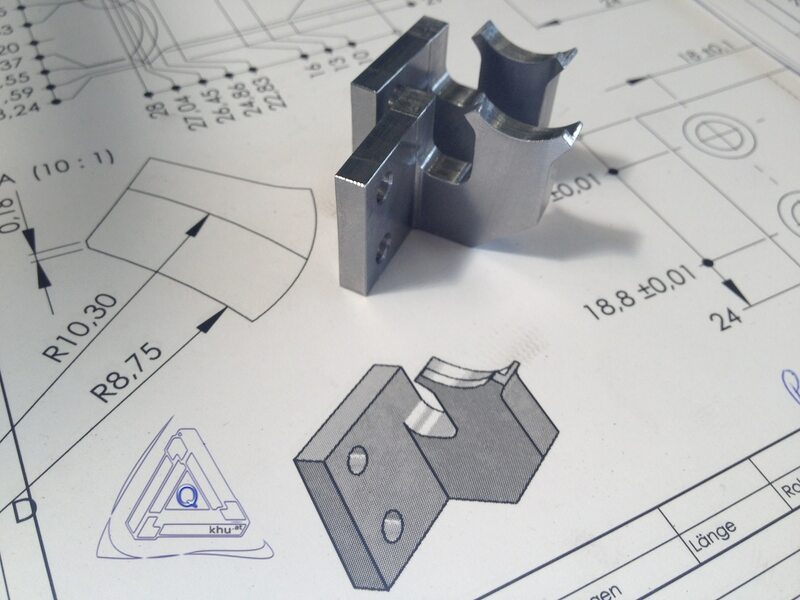 With the use of CNC-Machines we manufacture precision parts out of all materials. 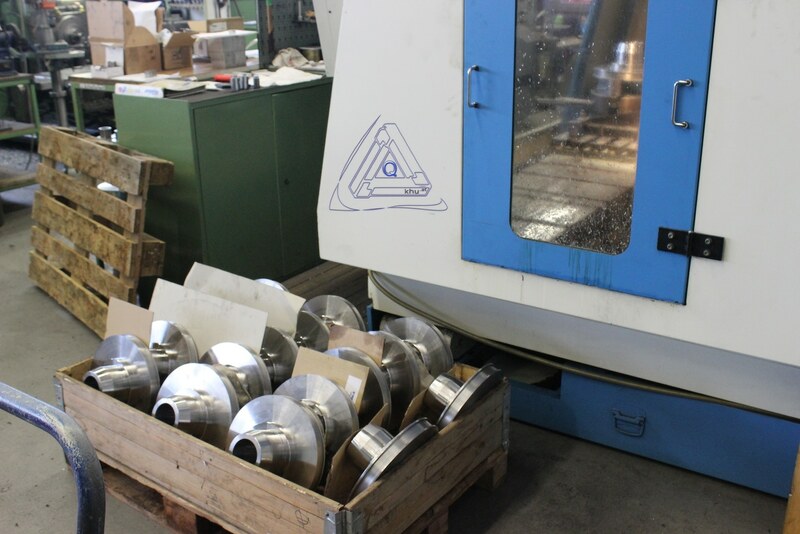 In addition to our CNC-machinery we also utilize conventional machining tools, like lathe and milling machines, horizontal boring machines, circular grinders, profile grinders and surface grinders as well as our own steel construction department. 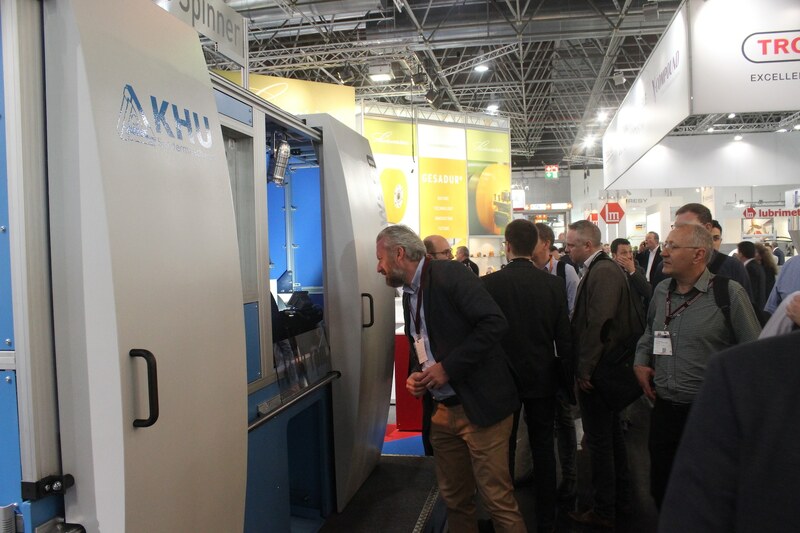 We also offer all kinds of surface and heat treatment which will be prepared by our selected distributors.